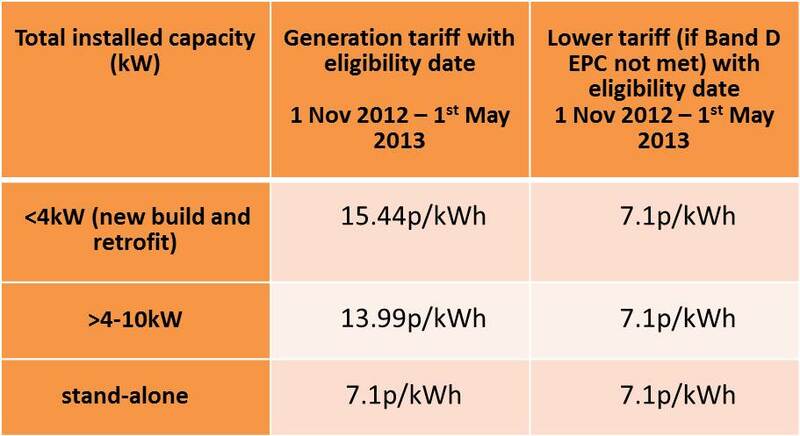 Ofgem have recently announced that all Solar PV FIT tariff rates will remain the same until the 1st May 2013 – the updated rate table can be found below. Solar PV can make the right home up to £600 a year – why not take our free assessment now and see if your home is suitable? This entry was posted in Grants, Offers & Funding and tagged Feed-In Tariff, Solar PV. Bookmark the permalink.